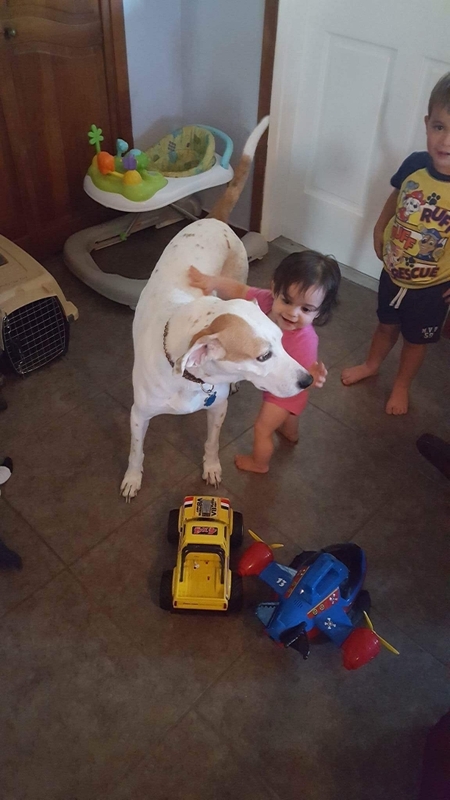 Foxhounds make great family dogs. They love kids and love going on vacations. Cashmere is delightful and I adore her. She is sweet, playful, and came with wonderful manners. She is insecure however away from her pack and that has been a challenge as she doesn’t trust strangers. I’m told not all the hounds are this way and we’re working on her confidence. 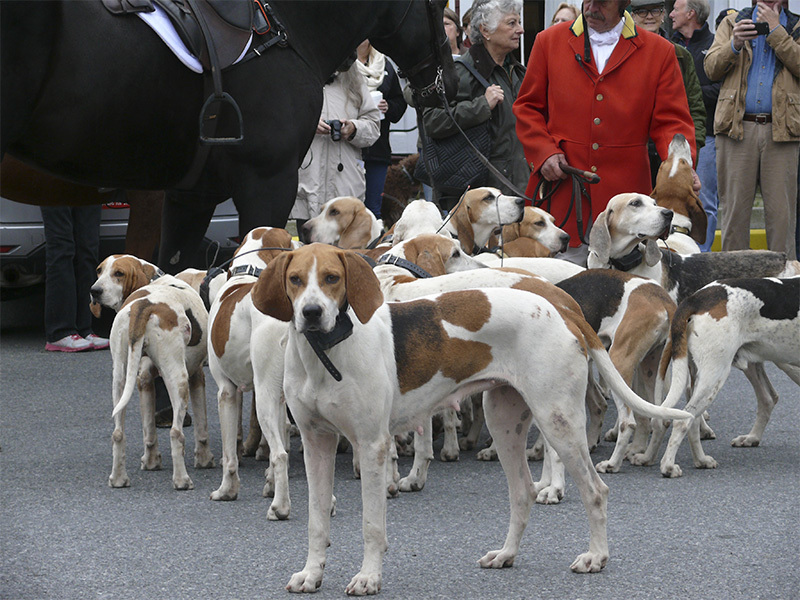 On occasion, the Old Chatham Hunt Club will retire a hound. There are a few reasons that a hound could be retired. When they are, the hound and their new family win! 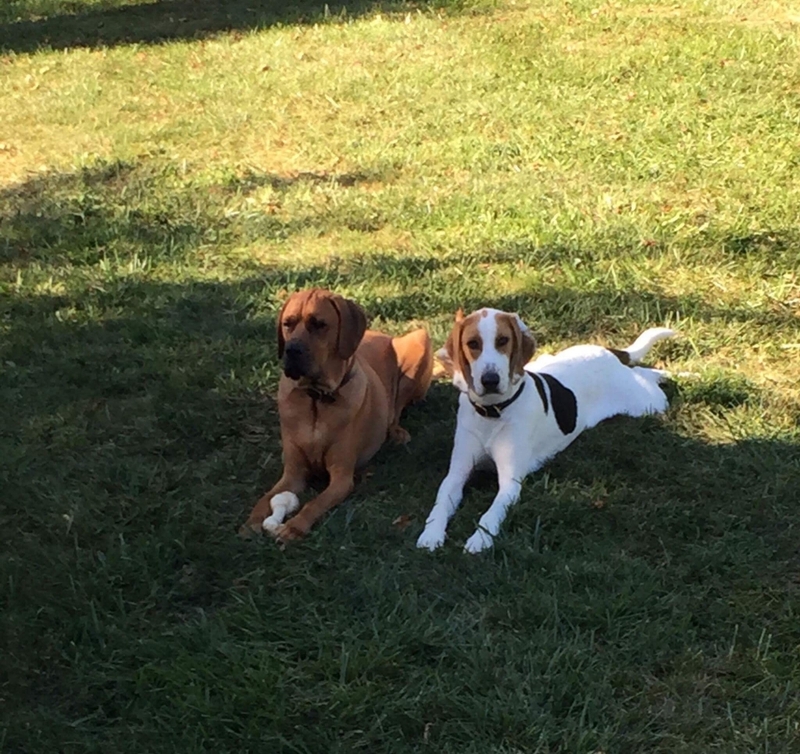 These easygoing hounds make friends everywhere they go. 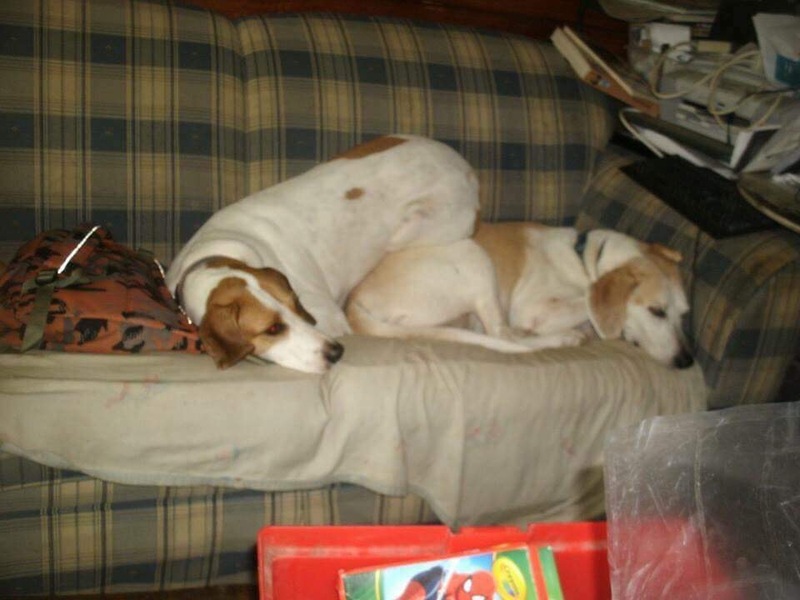 The Foxhound is a wonderful breed that offers a long, healthy lifespan and a social, friendly personality. Our hounds are lovingly cared for at the kennels and are daily handled by adults and children from birth. 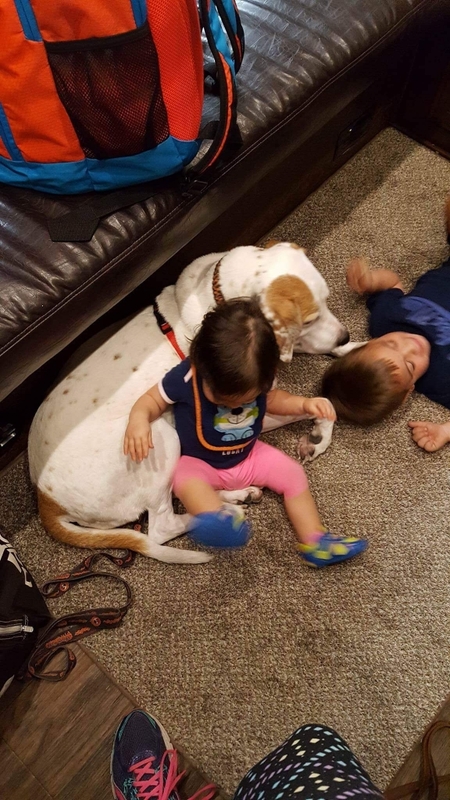 Typically when they are adopted we hear that they quickly take over the couch or a big comfy dog bed and are lovebugs with the whole household. They are smart and take to living in a home quickly. They housebreak easily (it’s not common for them to use the kennels as a potty anyway) and are usually quiet additions to the family. Barking doesn’t come naturally to them and howling is a hunting activity. 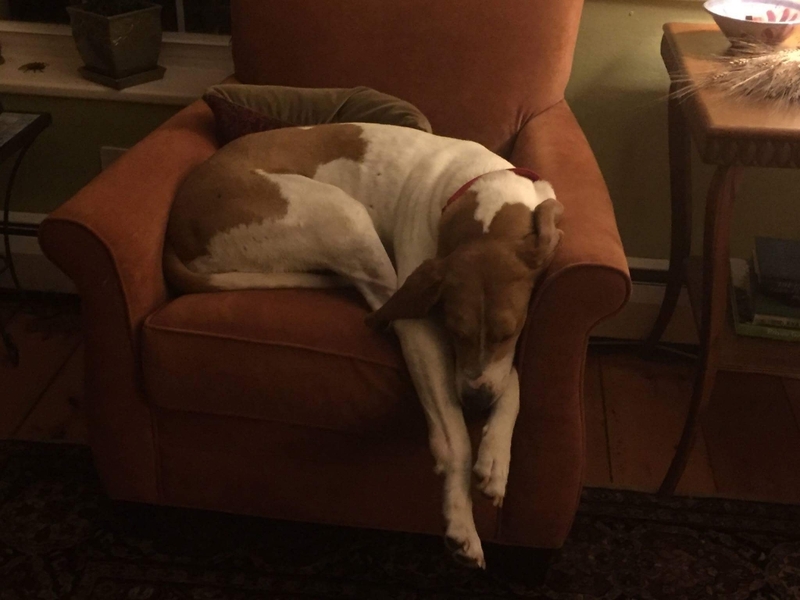 From Wiki: The American Foxhound has a very docile and sweet demeanor. 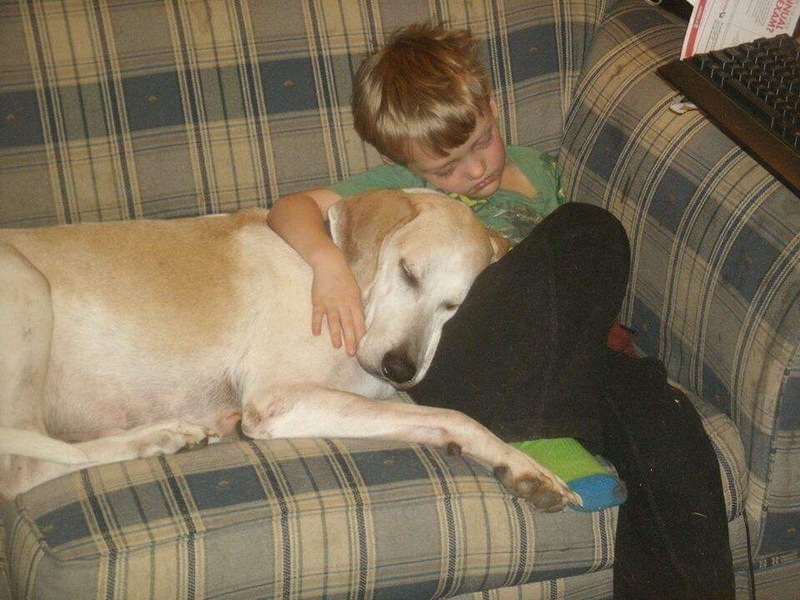 A typical dog is gentle, easygoing, and gets along with children and other animals. However, they may act shy and reserved when around strangers. It’s true that not all hounds, no matter how well bred, just aren’t cut out for hunting. 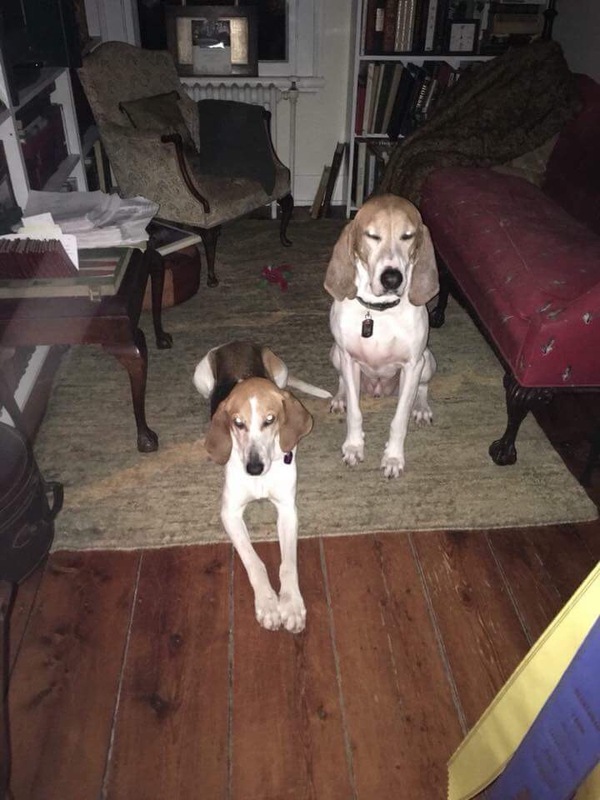 Some young hounds don’t display the drive necessary to hunt with the pack. Some are so eager to hunt that they babble (this means that when out hunting, they aren’t quiet when no scent is found) and other times they have a physical limitation that keeps them from gaining the stamina and fitness that is required in our varied terrain. None of these will keep them from being a wonderful addition to a household. 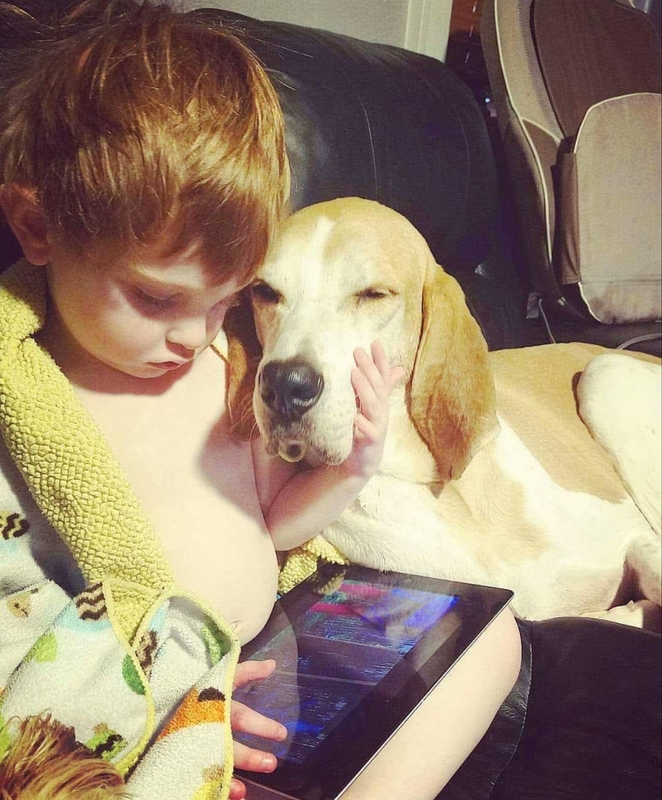 From Wiki: The English Foxhound is a pack hound, therefore, it gets along well with other dogs and enjoys human companionship. It gets along with horses, children, and other pets, as it is a gentle, social, and tolerant breed. It is an active breed that enjoys tracking foxes and has the stamina to run all day with few breaks. 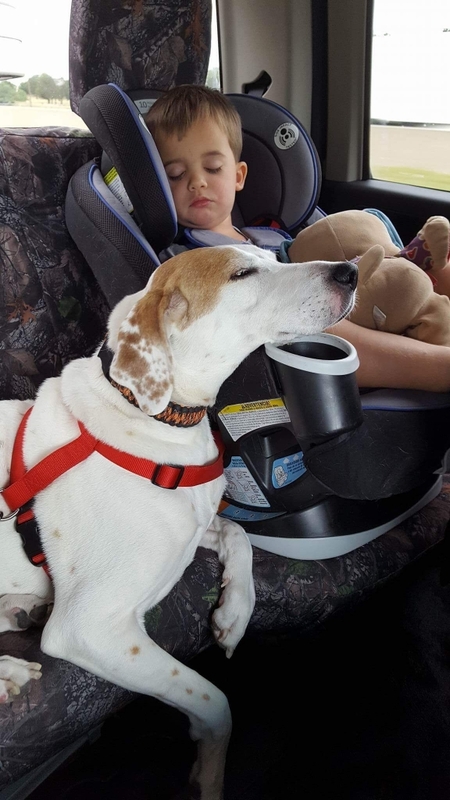 Eventually, even the best hunting hounds get older and can’t keep up with the pack. When this happens we will offer the hound up for adoption. Most of these older hounds are so beloved by our hunt members after their years of service that they will go home with a member. Sometimes a home outside of the club is needed. 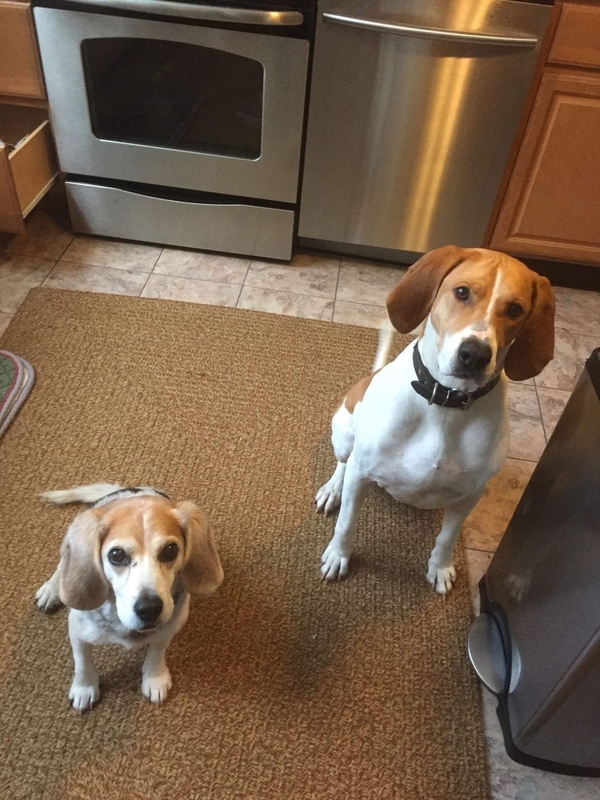 These hounds will be even more appreciative of a cozy spot in a happy home. We adopted “Hickory” now known as “Moose” 3 years ago. He immediately fit in with our family! He is so loving and the biggest cuddle bug! He has been so good with my son, who was only 1 year old when we brought him home. He is so patient with him, even when he’s constantly giving him hugs! He loves everyone and everything, he doesn’t have a mean bone in his body. I feel so blessed that he is my boy. Thank you so much to the hunting club for allowing us to adopt these wonderful hounds! 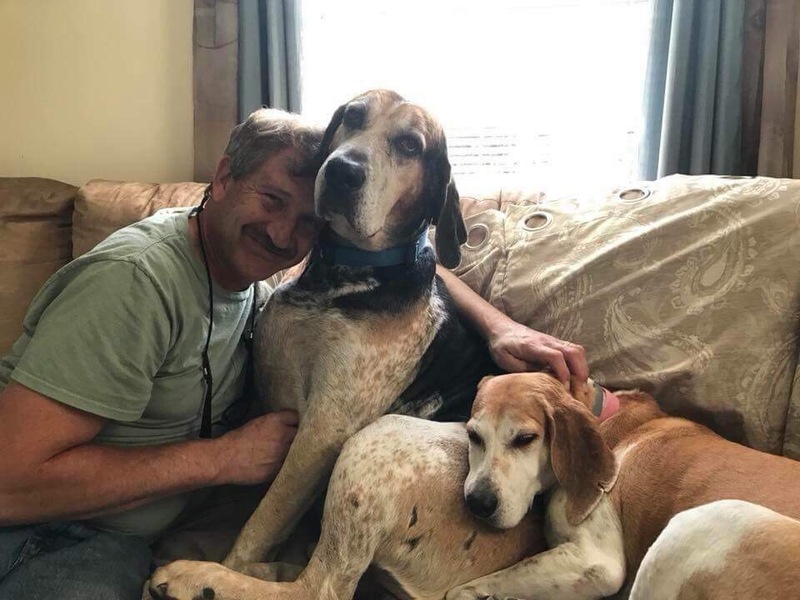 Our hound adoption experience has been great. We are in a bit of a different situation since we took a puppy, who is deaf, and thus unable to hunt. 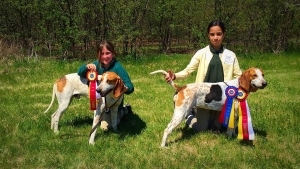 For folks that might take a young hound, they are smart, athletic, and energetic and, as such, not for the inexperienced. They are also sweet, loving, and brave. He loves water and loves to play. They are “leaners” and love other animals. Oh, and food, they LOVE food. Due to Nelson’s deafness, he was a bit slower to housebreak than other dogs we’ve had, but I don’t think that is a typical experience. His transition to a house from the kennels was easy and he quickly found the bed and the couch to be the places to sleep. 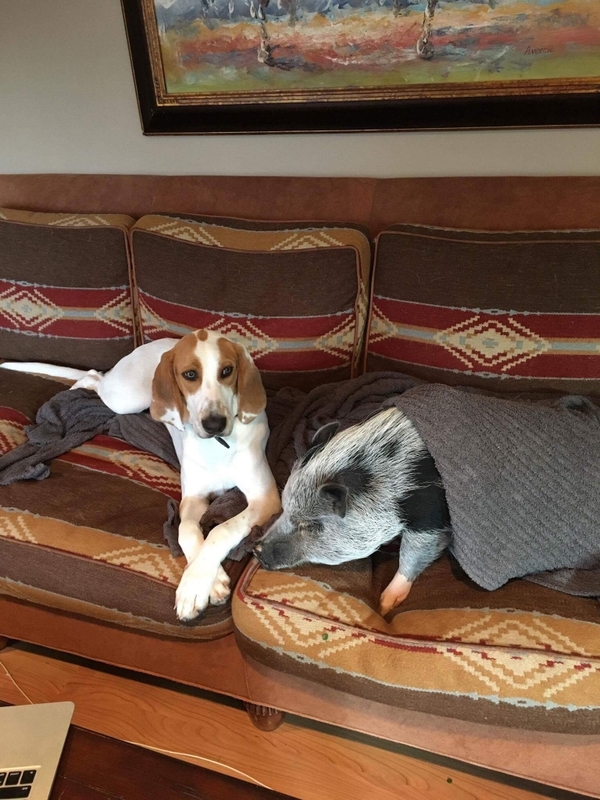 He gets along well with our other dog and our pig and does very well on leash at horse shows. We don’t allow him off leash since we don’t have a way to call him back. He’s awesome!